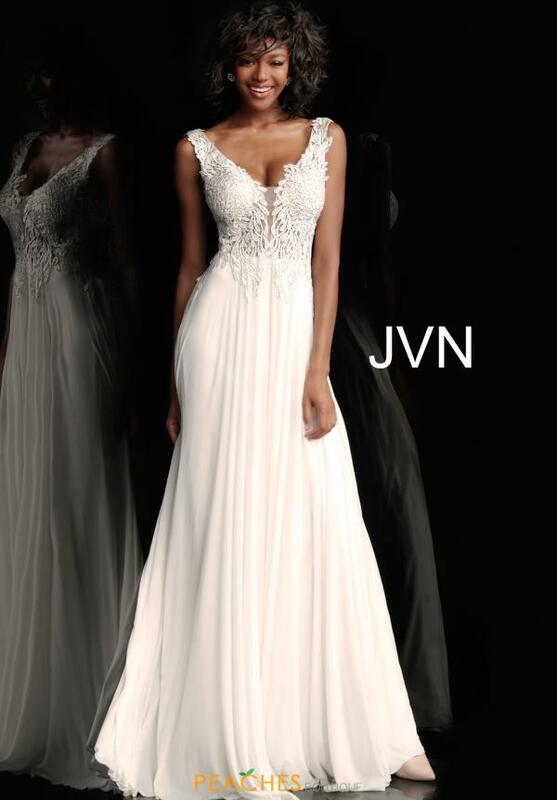 Feel like a princess who just stepped out of her fairytale in this spectacular JVN by Jovani dress JVN64107. Breathtaking applique is placed in along the bodice, whimsically wrapping around and pairing perfectly with the scattered rhinestones which gleam elegantly throughout. A V-cut neckline offers a flattering cut as a low cut back accentuates the flowing chiffon skirt which glides alongside you.